Nordstrom is a department store chain based in Seattle, Washington. It originally retailed shoes before expanding to selling clothes, accessories, handbags, cosmetics, jewelry, and fragrances. It was founded in 1901 by Carl F. Wallin and John W. Nordstrom. The first store was built using Nordstrom’s newfound wealth from gold prospecting and Wallin’s experience in his shoe repair store. They have more than 300 locations in 3 countries, have more than 70,000 employees, and have built up billions in terms of assets. Aside from their retail operations, they also have e-commerce retail through the various brands they own. They provide their employees with discount on store items. They offer insurance coverage on medical, vision, and dental health and match a percentage of their employees’ 401k plan contributions. Employees have found great joy in working for them as customer service is done with great emphasis on individualized service. They also get a lot of opportunities for growth as management prefers to seek talent from within the organization. Applicants for part-time and full-time positions are required to be at least 16 years of age. However, positions available for those below 18 years of age only include the Retail Sales Associate and the Stock Associate. Retail Sales: They attend to the customers individual shopping needs. They share their knowledge and passion about the latest in fashion and accessories. They also provide honest feedback and fashion guidance in regards to how the merchandise fit and look on the customer. They keep their assigned department stocked, clean, and updated. Service Experience Representative: They drive store sales through their expertise in using different enhancements for customer experience and store environment. They build good team dynamics in the store by inspiring trust, teamwork, and behaviors that will help deliver desired results. They also defuse difficult situations and provide timely and effective resolutions. Beauty Advisor: They ask open-ended questions to know a customer’s needs and preferences. They use this knowledge to provide service consultations and honest feedback on products. They also build customer relationships through follow-up, suggestions, and event invitations. They are expected to continuously update their knowledge of fashion products and trends. Loss Prevention Uniformed Service Ambassador: They are responsible for ensuring the customers’ and employees’ general safety within the store. They respond to the customer’s needs and accurately direct them when necessary. They also perform surveillance and monitoring activities in the store to reduce and control inventory loss. They assess and assist customers and employees in times of emergencies. Inventory Control Specialist: They ensure store merchandise is properly accounted for, processed, and ticketed. They use inventory management systems to coordinate and reconcile the store’s records of cycle and stocks. They work with logistics and management in creating and updating inventory best practices guidelines and rules. Retail Sales Counter Manager: They set the personal goals of the Retail Sales associate of their team. They employ leadership skills to help Retail Sales associate in the achievement of their goals. They open new Nordstrom Rewards accounts to build new customer relationships. They are expected to have the ability to take on the duties and responsibilities of a Retail Sales associate and a Beauty Advisor. Internship: This is available in various positions including software engineering, merchandising, retail management, and finance. This position is for college students who are looking to jumpstart their career into an assistant manager for a department. They assist in the various tasks and learn and exhibit the necessary skills to get the job done in their assigned department. Beauty Concierge: They direct and assist customers with their knowledge of Nordstrom’s cosmetic products and services. They create sales for the store through the promotion of products, services and events. They are expected to have excellent knowledge in cosmetics to deliver the best assistance and direction to the customers. Tailor/Fitter: They alter and fit merchandise according to the customer’s requests and Nordstrom service guidelines and standards. They are expected to organize their workload in order to complete requested alterations done on time. They educate employees and customers on the proper fit of merchandise and the shop’s related procedures and guidelines. Designer: They act as the customer’s fashion aficionada and confidant. They attend to the customer’s individual shopping needs by providing them the latest in Nordstrom’s Personal Book system and fashion trends. They are expected to provide honest and tactful guidance and feedback to customer regarding fit, style, and trends. Application is primarily done via the careers portal on their website. Applicants are required to create an account in it where they can browse job openings and check their application status. Application can only be done online as headquarters takes care of the screening and initial interview. Turnaround time for an application can take a few days to a few weeks. In the online application, they would be asking for your location which would be used to determine the openings available in your area. They would then ask for your skills and work experience. They look for individuals with a passion for retail and their brand so it is best to give this impression on your resume. They hire individuals who can keep up with the fast-paced environment of retail stores. The initial interview will be done over the phone. When you pass this part, you will then be called for a face-to-face interview with a manager. This is the best time to display your capability to connect with complete strangers. The culture is built around the delivery of outstanding and personal customer service. Individuals are expected to perform their responsibilities with high energy and with passion. They have been consistently recognized as one of the best places to work for in Fortune magazine. Because of this consistent achievement, they have also been placed in the hall of fame for said recognition. The company is known for their personalized approach in providing fashion advice and tips. They hold semi-annual and anniversary sales that Nordstrom Rewards members can take advantage of. 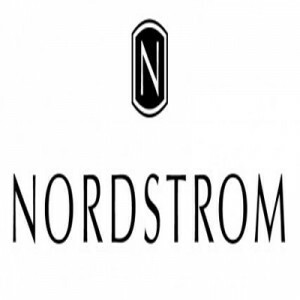 Nordstrom donate a percentage of their Gift Card sales to various non-profit organizations. They have programs like their Employee Charitable Match and Volunteer Program that let their employees get involved with the community. 1 How old do you have to be to work at Nordstrom?